Owner run 5 luxurious self-catering cottages and a campsite, set in extensive and beautiful gardens on an 800 acre highland farm. Bar/Restaurant, hot showers and catering. We have landscaped the campsite so each group can have their own area. Larger trucks are restricted to set parking areas. 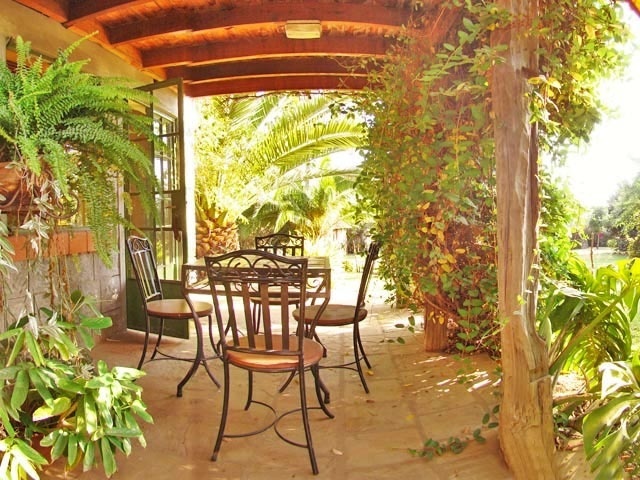 If the campsite is really busy, travellers with their own trailers/facilities can request to bush camp on the farm. The Kenana Knitters Gift shop, a non-profit organisation, employing the local community is a 350 meter walk across the farm yards from the Kembu campsite to the Knitting Project. (Nov-11). Drive WEST out of Nakuru on A104 highway towards Eldoret. 13 km from Nakuru Town turn LEFT onto tar seal road. 7 km later you reach a T-junction on the C56 - TURN RIGHT. 800 meters later you see the farm driveway on your LEFT, turn in here and sign in through the gate. Drive up the hill, round a 90° corner to the right and go left at the fork to get to the Kembu gate. Check in with reception at the Campsite Bar. (Bar Tel: +254(0)72 235 5705). Optional tent & bedding hire USD10pp. No Credit Card. Mpesa transfers & PayPal. (Rate info updated Feb-18). Golf Course at Njoro. Lake Nakuru National Park. Lake Bogoria National Reserve. (Some activities may be offered nearby). 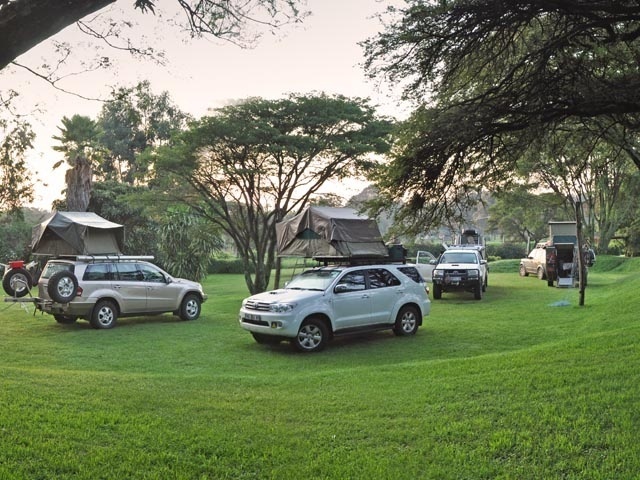 This camp can be accessed by car, the farm drive is an all-weather dirt road accessible by sedan car all year round, a 4WD is not a requirement. Can get a bit slippery straight after rain. Access by foot is also possible or by air - the nearest Airstrips are the Njoro Airstrip, in Njoro, 10 min away (i.e. this is on the T4A GPS Maps) and the Barclays Airstrip in Menengai, 20 min away (ie. also on the T4A GPS Maps). There are no shuttle services but a taxi can be ordered. Kembu camp staff can organize car rental to delivered to Kembu. Prebooking at this camp is preferred, but not essential - if you want us to provide you with food then we need 24 hours’ notice. In November the rainfall is short, and from May to July is the long rains. This is a working farm, be aware of tractors and livestock. (Nov-11).